Open it up the Big Red Barn and see who’s inside. A friendly horse, a cow, a sheep and a pig are waiting with their farmer pal. 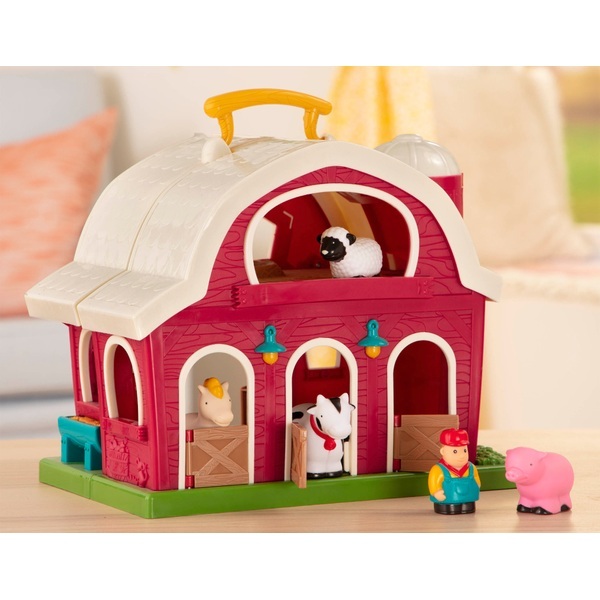 There are doors to open, windows to peek through and a handy handle to take this barn wherever you go!